EMRC (www.EMRC.be) in collaboration with Entrepreneurial Solution Partners and the Strathmore University is announcing a call for action for Entrepreneurs from all over Africa to bring their projects, ideas and running businesses and to discuss them with experts during the 2017 edition of the Africa Finance & Investment Forum (AFIF) in vibrant Nairobi. AFIF 2017 will take place at the Strathmore University and will gather an audience of entrepreneurs, bankers, investors, fund managers, foundations, development and international finance institutions from Kenya, Africa, Europe, Middle East and America. African Pioneers that want to stand out from the crowd and understand the different financing options are welcome to Nairobi, to participate in the interactive debates, the B2B meetings and the two day pre-Forum training on “Scaling an Entrepreneurial Venture”. “Over the past years, where we traveled through different countries in Sub-Saharan Africa with the mission to promote entrepreneurs, connect them to partners and investors, we’ve realized that accessing financing and presenting appealing projects is a major challenge” says Idit Miller, EMRC Managing Director. “That’s why we’ve initiated, among others, the “Africa Finance & Investment Forum” and that’s why a special training session was conceived as part of the AFIF platform along with the 10.000 USD AFIF – Rabobank Entrepreneurship Award” adds Mrs. Miller. Entrepreneurship and Innovation will be at the spotlight of the 2017 edition of the “Africa Finance & Investment Forum”. If you want to be part of this unique and exciting platform, you are welcome to the Strathmore University from the 13th to 16th February 2017. 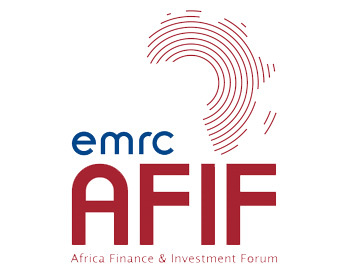 A limited number of places is still available for the AFIF pre-Forum training on “Scaling an Entrepreneurial Venture” and interested Entrepreneurs are invited to register at www.EMRC.be. For further information please contact: Ines Bastos, EMRC Brussels: IB@EMRC.be. Tel: 32.2626.1518. Distributed by APO on behalf of EMRC.